Hey there! I'm so glad you joined us for the Club Scrap Trattoria Blog Hop and Linky Party! If you're following along in order you should have just come from Tricia's Blog. 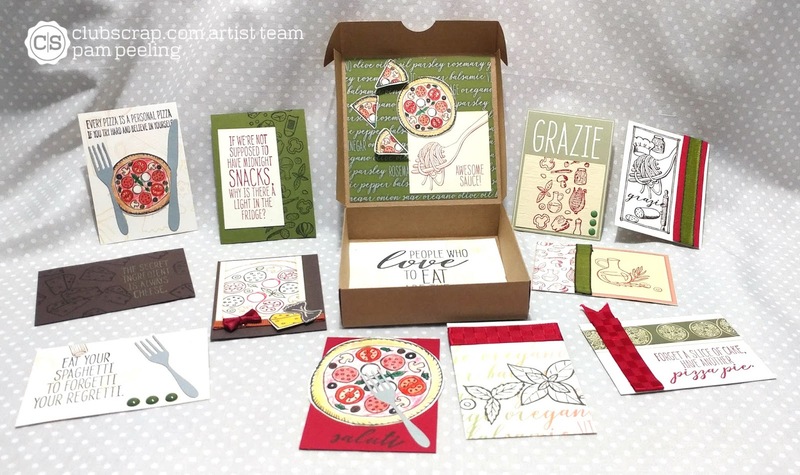 This month's Trattoria collection is about food! Pizza, pasta! Woo hoo! I decided to make a set of ATC's in a 4" x 4" custom made pizza box. I found a great tutorial for the pizza box from Pootles-she makes the best boxes! I used the unmounted rubber stamped images for the inside top of the box. I colored in the images with Prismacolor colored pencils. I decorated the bottom of the pizza box with the embellishments cutaparts. I made 11 Artist Trading Cards to go in the box. Here's the other side of the ATCs. The Love Charm and ribbon are both available with the Trattoria collection. Your next stop along the hop is Hetty. 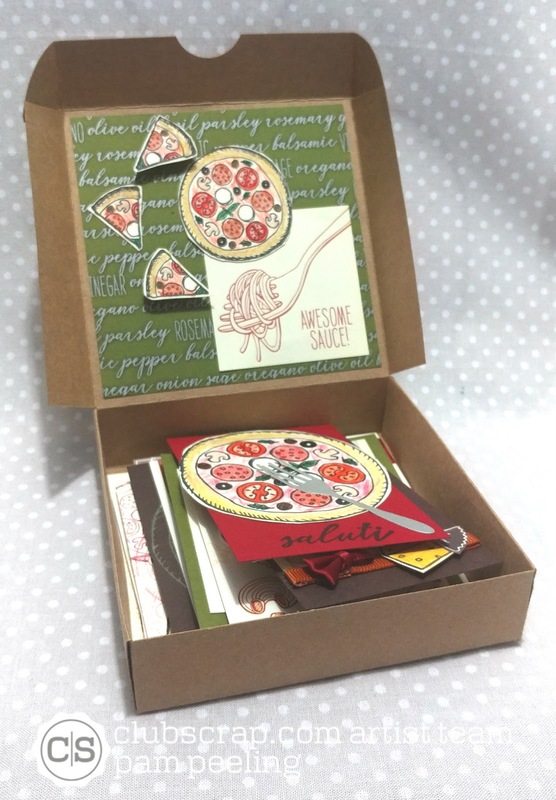 What a lovely looking pizza box, outside and in and a bunch of yummy ATC cards inside! That is SO adorable! I love, love, love it! And, as a company that ships stuff in pizza boxes, this is a pretty adorable project for me to explore. Thanks for the inspiration! Oh my gosh, Pam, now why didn't I think of this??! This would have been the perfect time to dig out my Pizza Box and make something LOL! Love that you made it a mini and that you added these awesome cards inside. Great work! Wow this is really really adorable, what a delicious idea! Very cute! I will miss the blog hop team - thank you for your dedication and creativity! Love the mini pizza box. And the ATCs are fabulous. 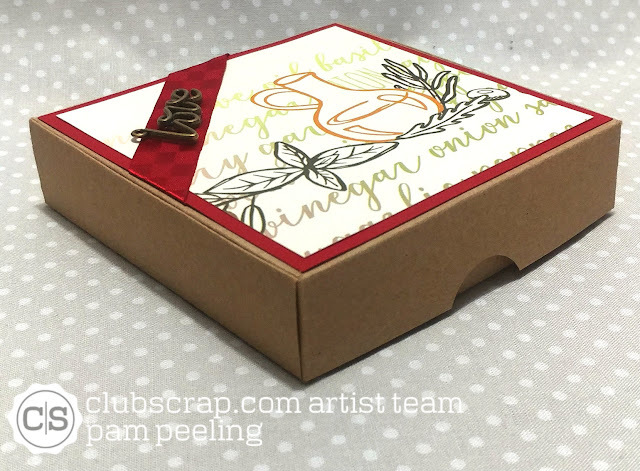 You should consider joining the ATC swap - especially since you already have the ATCs made! Your ATCs and pizza box are adorable. Thanks for your inspiration on the Artists Team. Have a great day. Pam! This is SUPER cute! I ♥ your mini works of art and you pizza box is just adorable! 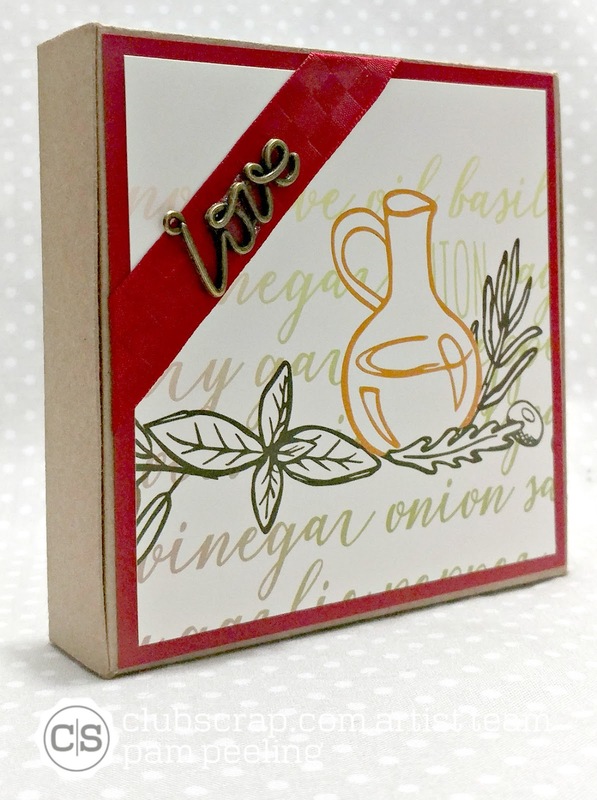 You added some fun details to your ATC's, the silverware set with the bow is my favorite! What a fun surprise on the inside of the box too, well done my friend! What an adorable pizza box! I love the coloring you did on all the art pieces. It was an honor to work with you on the Artist Team. 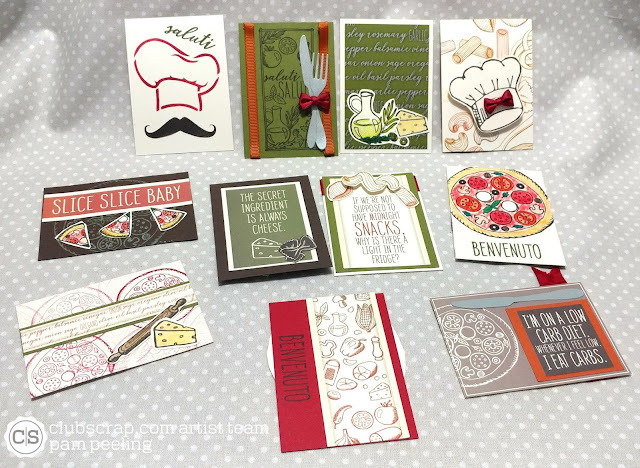 Great pizza box card set!! I'm a fan of Pootles' boxes too!!! What an absolutely PERFECT way to store ATCs!!! 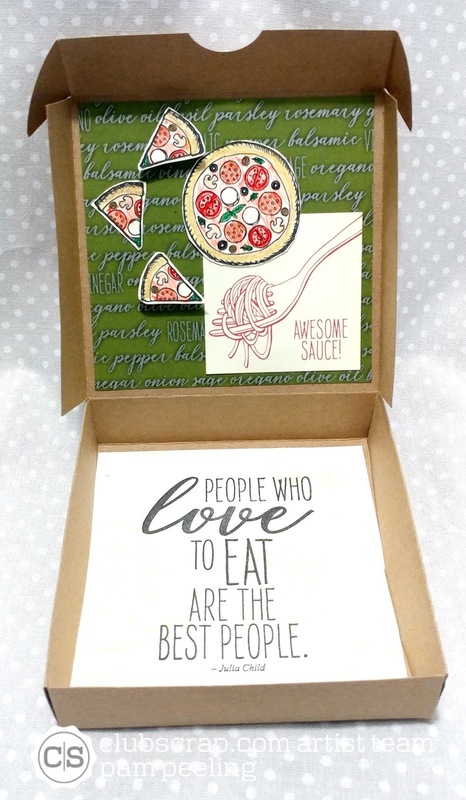 LOVE the miniature pizza box filled with such fun ATCs! So clever. Love all the details...great job & thanks for sharing!